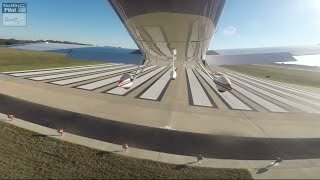 Favorite RV Aircraft Videos - Landings - Practice! Sign up Today to start receiving our Newsletter, chocked full of information about Van's RVs, along with Builders Resources, Pictures, Videos and Upcoming Aviation Events! Video Categories: | Landings - Practice! * Know of another video that might be helpful to RV Builders? Tell us about it! A view of the nose gear of a Vans RV-9A during take offs and landings. Vans original nose wheel was replaced with a Berringer nose wheel. Gear check, anti-splat nose wheel bearing. This is definitely and 'Ah' landing video. Nice! 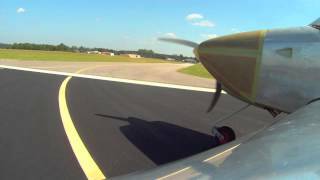 This is Gene's attempt at raising the bar, as well as the nose-wheel, and improving his technique. Articles, Resources, and Videos, revealing information about every aspect of Homebuilding an RV. VansAircraftBuilders.com is not affiliated with Van's Aircraft Inc. VansAircraftBuilders.com was created and is owned by OpenAirNet Inc. When you purchase any item, we receive an affiliate commission. It's a great way to support what we do.